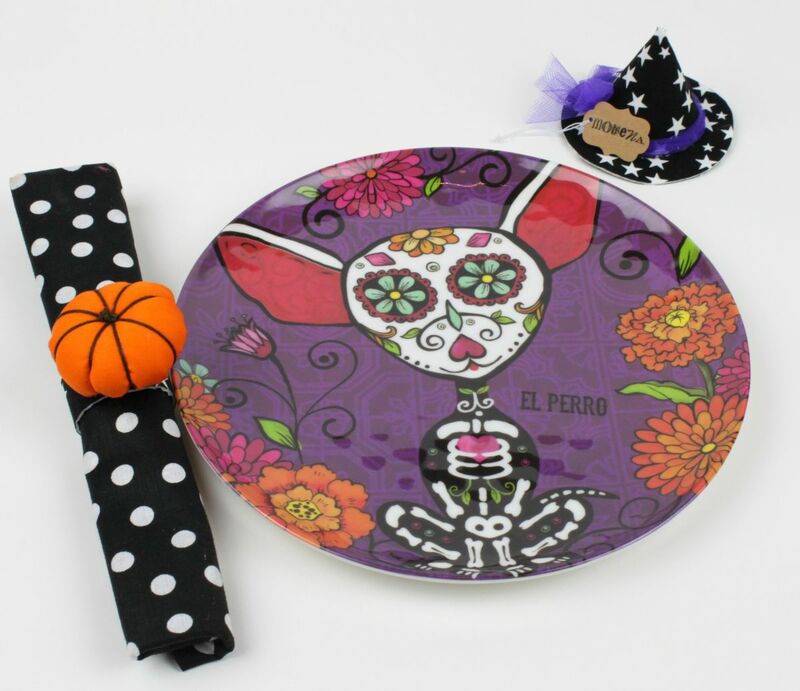 Learn how to add some fun Halloween decor to your place setting! 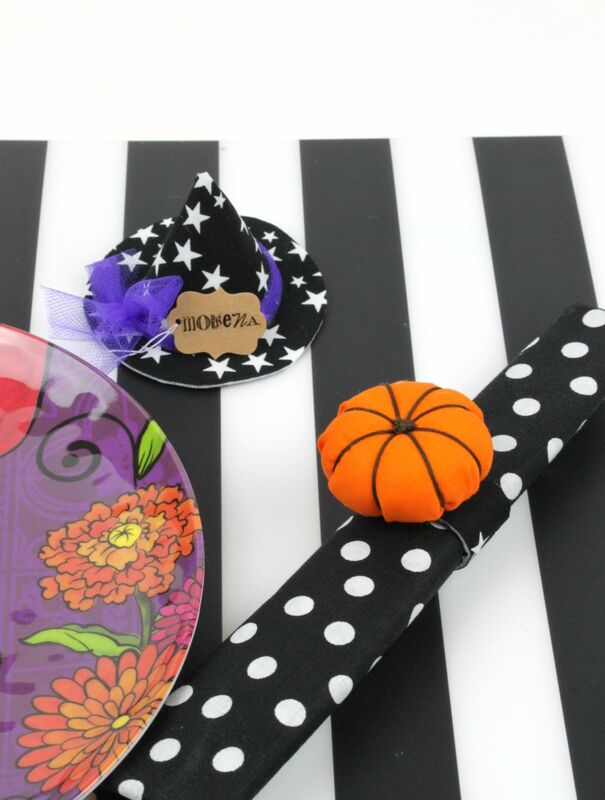 Cute pumpkin napkin holders and little witch hat place card holders will make your dinner guests smile when they sit at your dining table party decor. 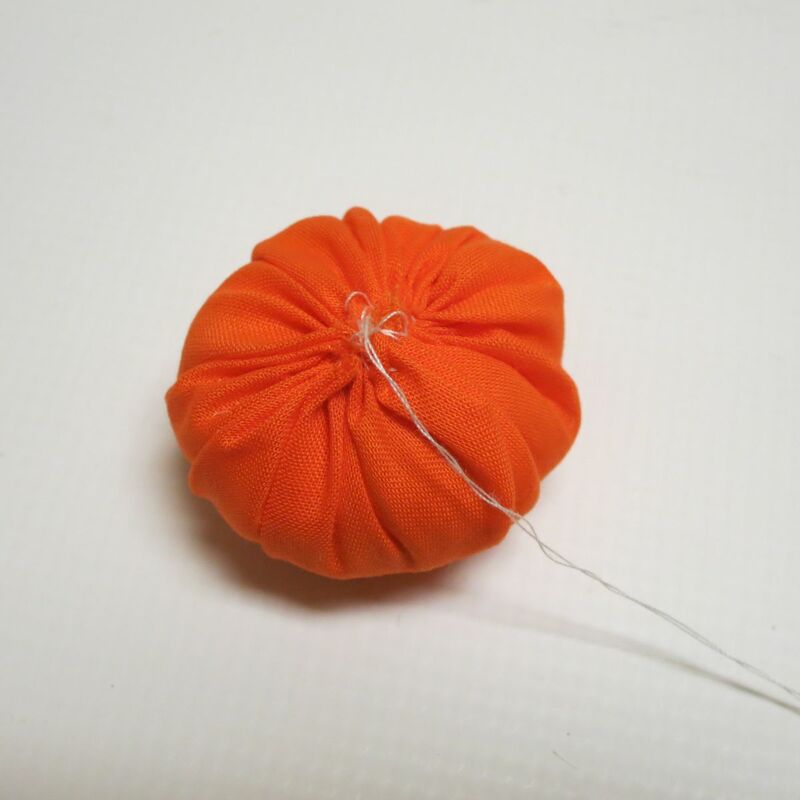 Trace a 4.5 inch circle onto orange fabric. Cut the circle out. Stitch around the edge of the circle. 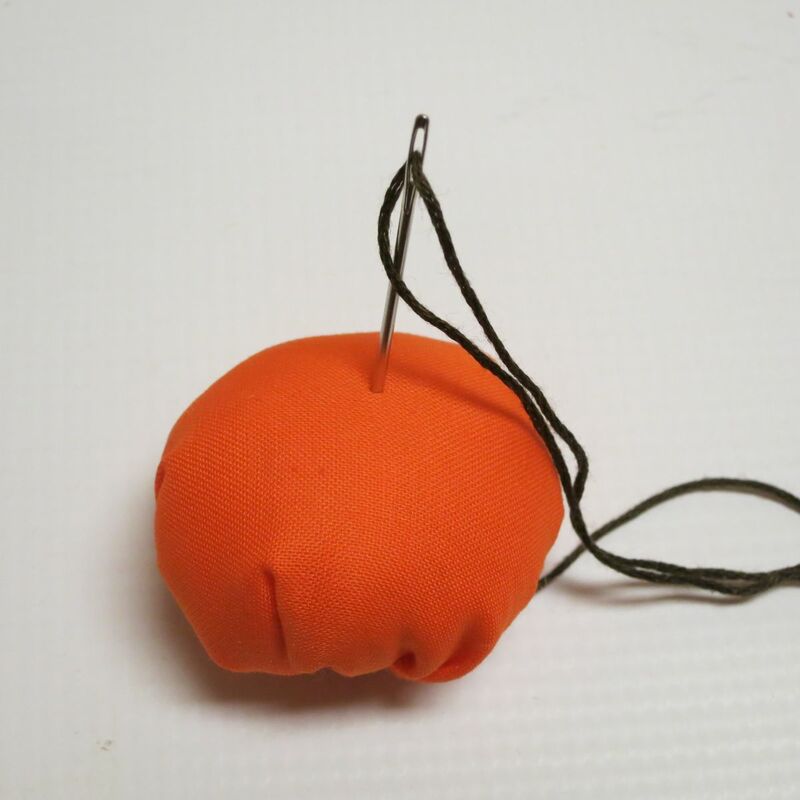 Pull the string tightly to begin to close the circle, but leave a small opening. 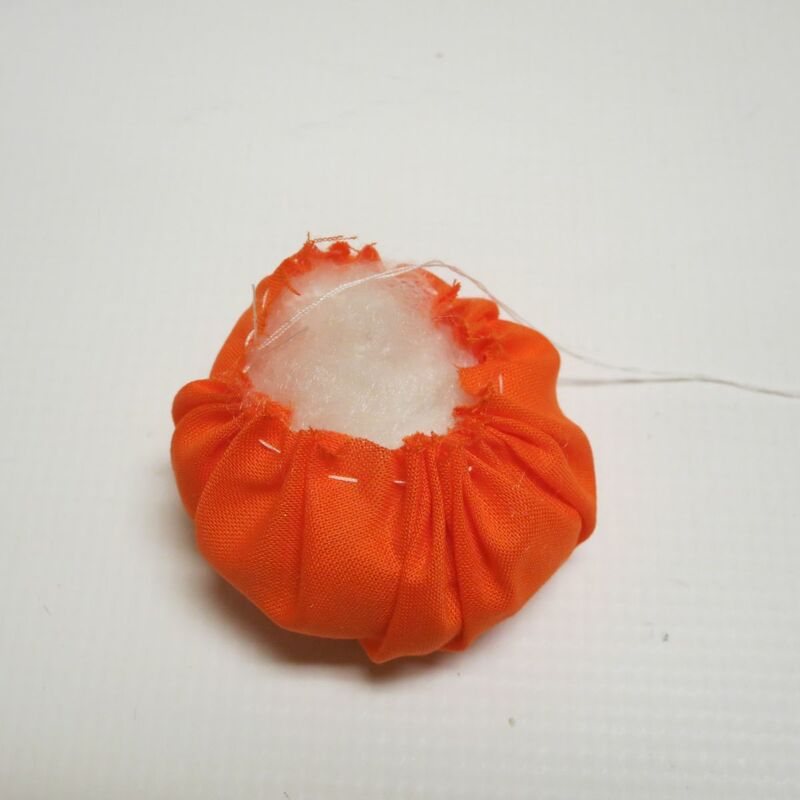 Fill the inside with the fiber filling, and sew the opening shut after pulling the string tightly. Place brown embroidery floss on a large needle. Pull the floss through the center of the circle and loop it over to the other side. 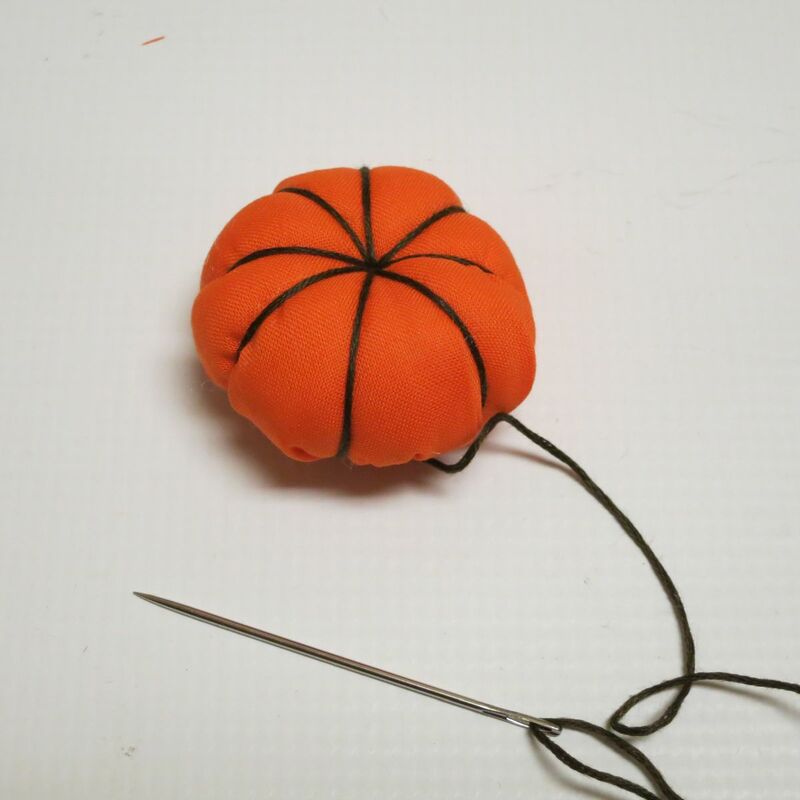 Press the needle into the center base of the ball, and repeat, to create the segments of the pumpkin. 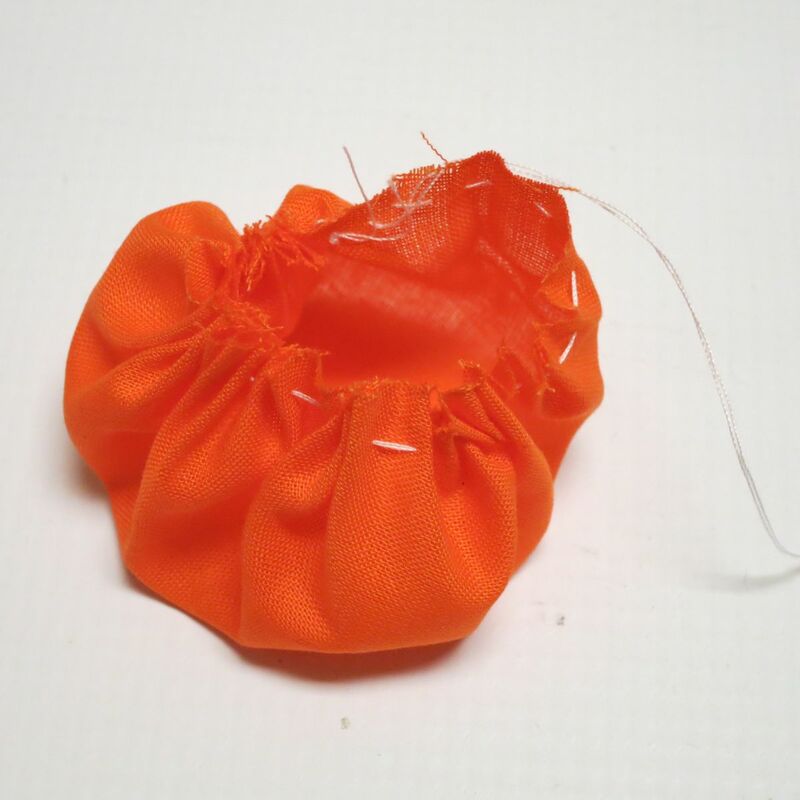 When you are done, tie multiple knots in the floss to create the “stem”. 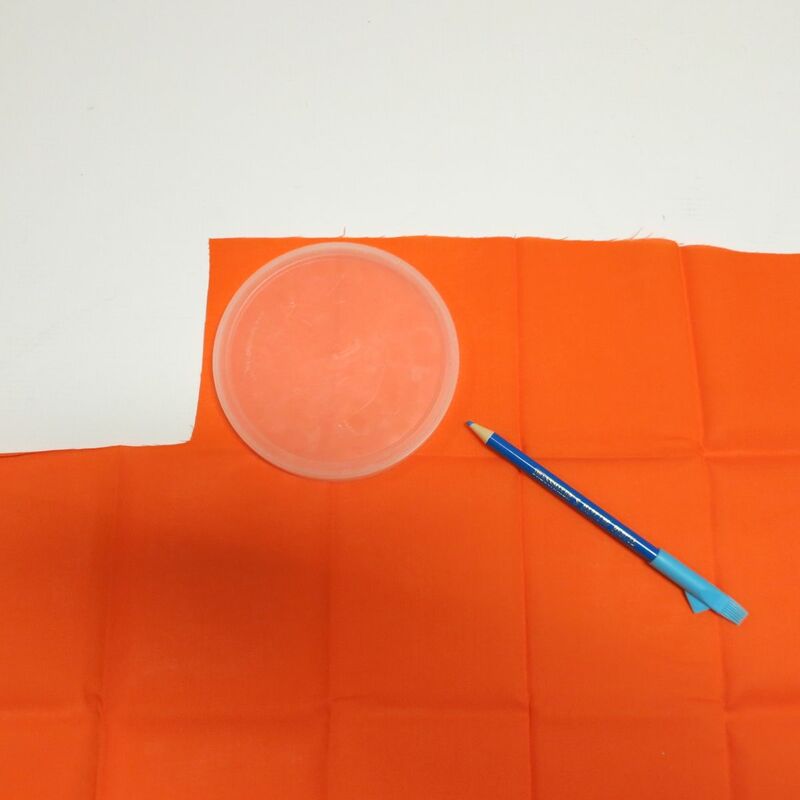 Cover both sides of a sheet of Phoomph with fabric. 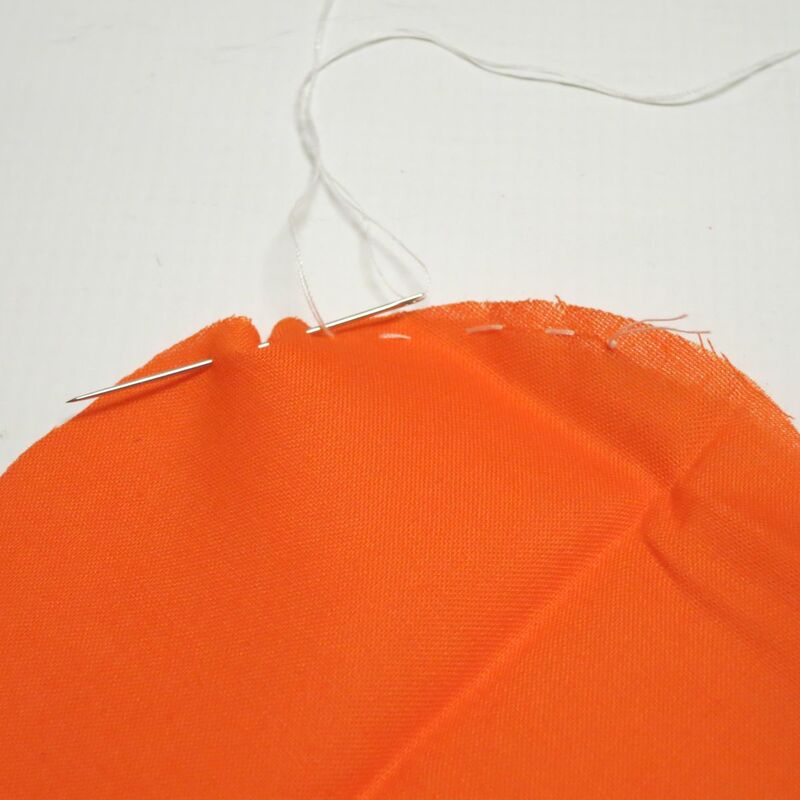 You do this by peeling off the backing and pressing the fabric into the adhesive. Cut a piece that is one inch wide and 5 inches long. 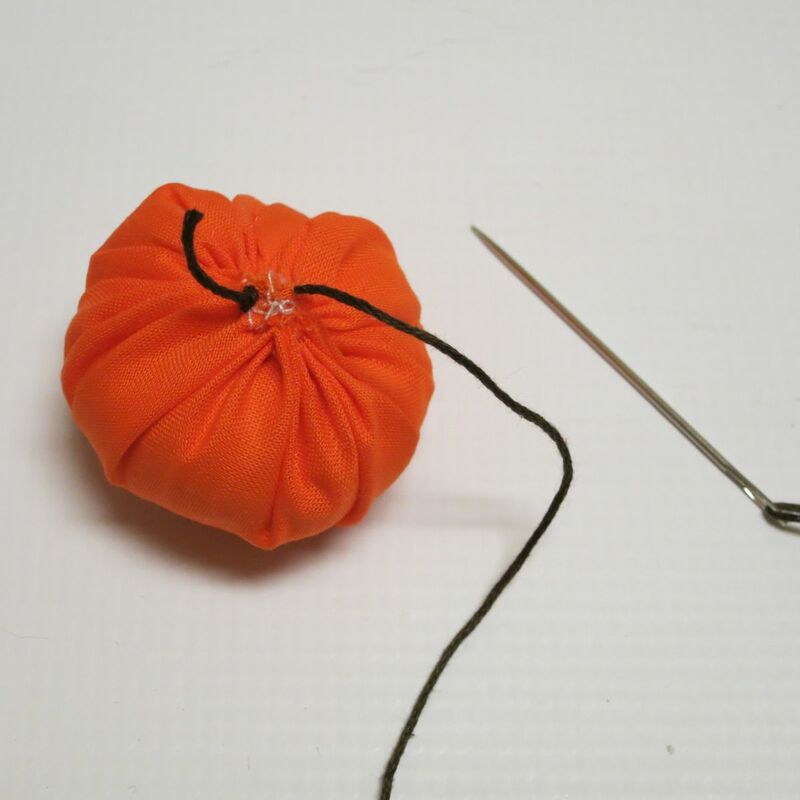 Hot glue the ends of the fabric strip together, and hot glue the pumpkin over the seam. 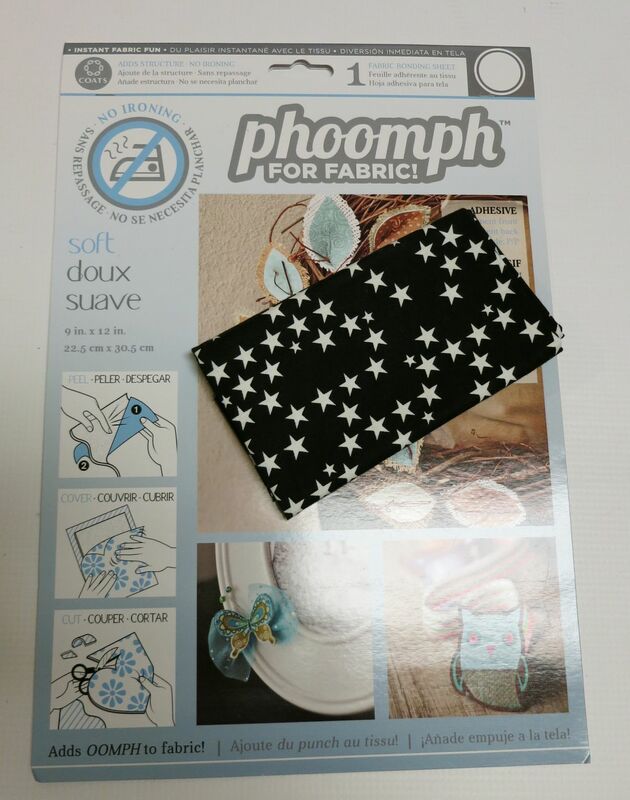 Cover both sides of a sheet of Phoomph with fabric. 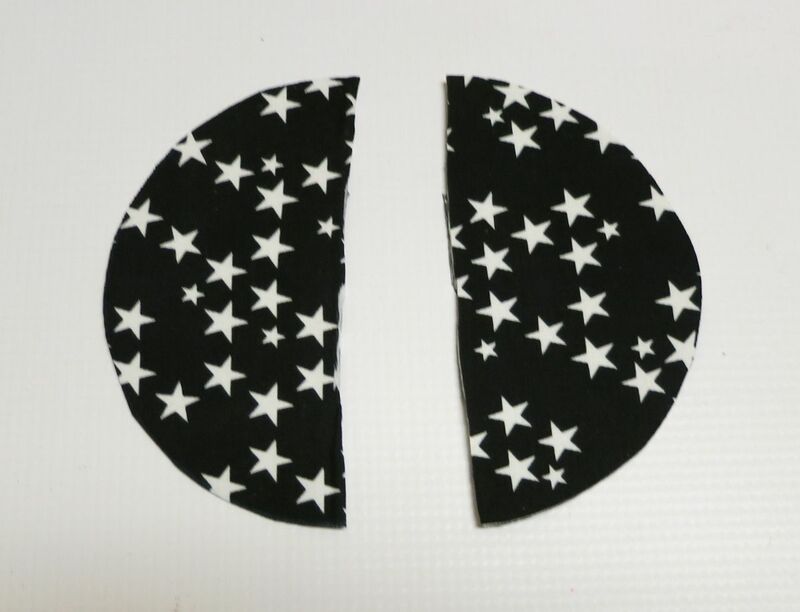 Trace and cut a 4 inch circle from the fabric, then cut the circle in half. 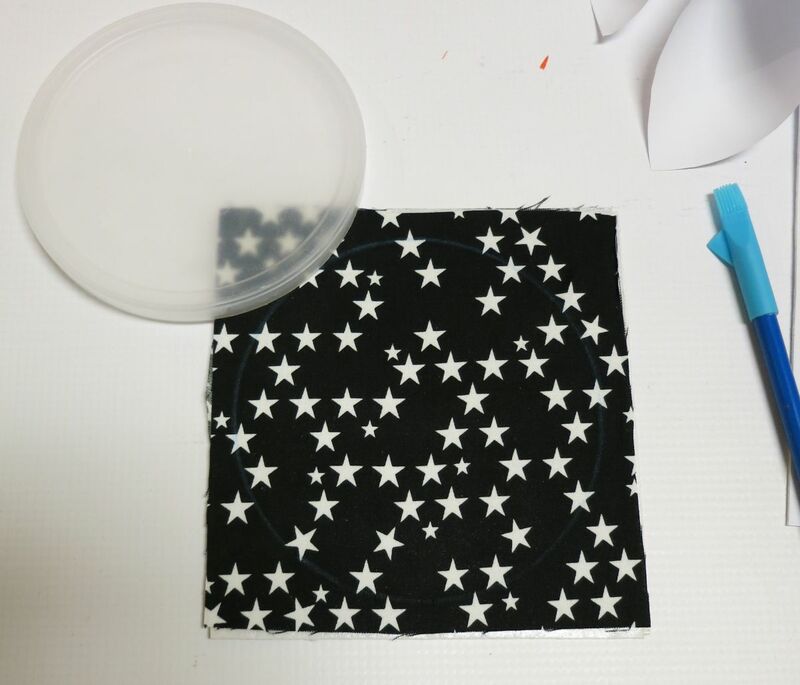 Cut a 3 inch circle from the fabric. 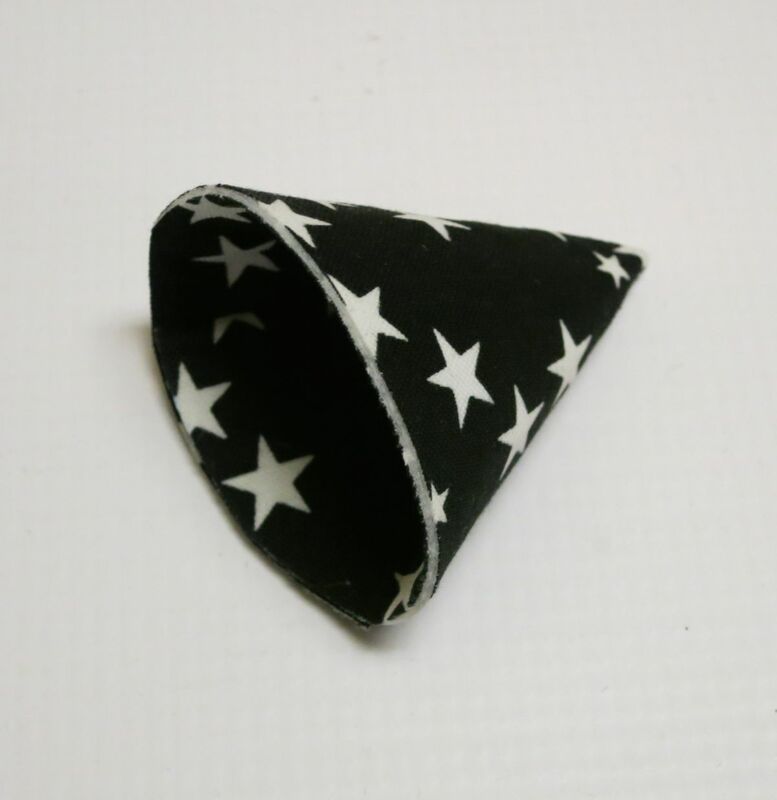 Make a cone shape with the semicircle, and hot glue the ends together. Hot glue the cone shape on top of the smaller circle. 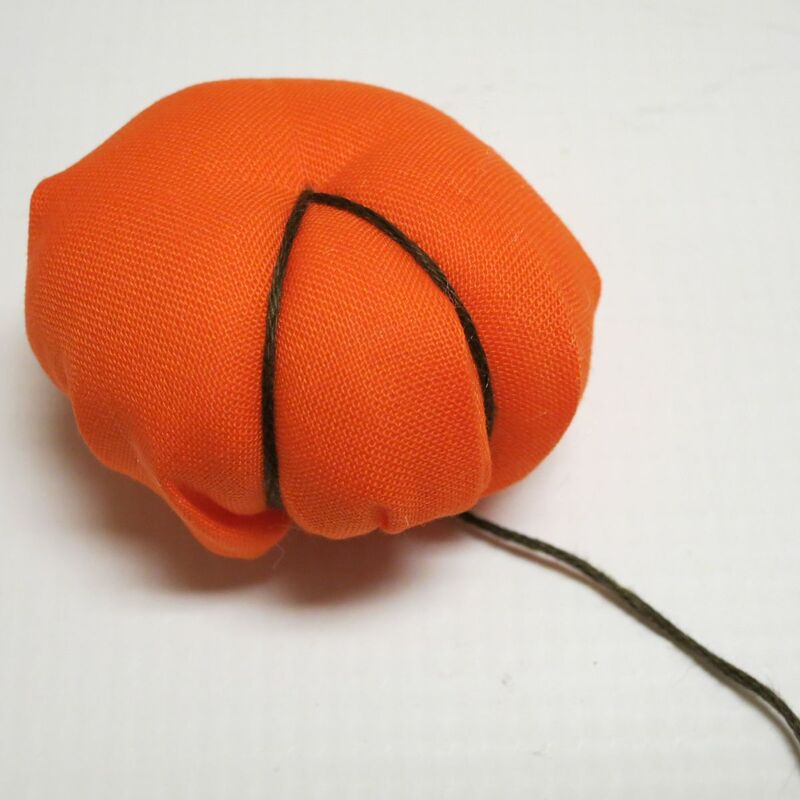 Embellish the hat with ribbon and other elements if desired. 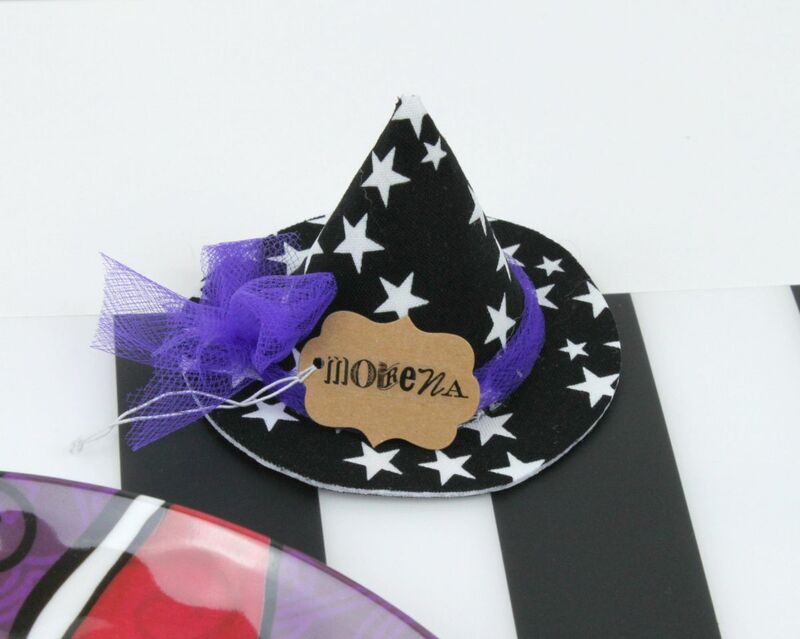 Place the name card by leaning it against the hat. 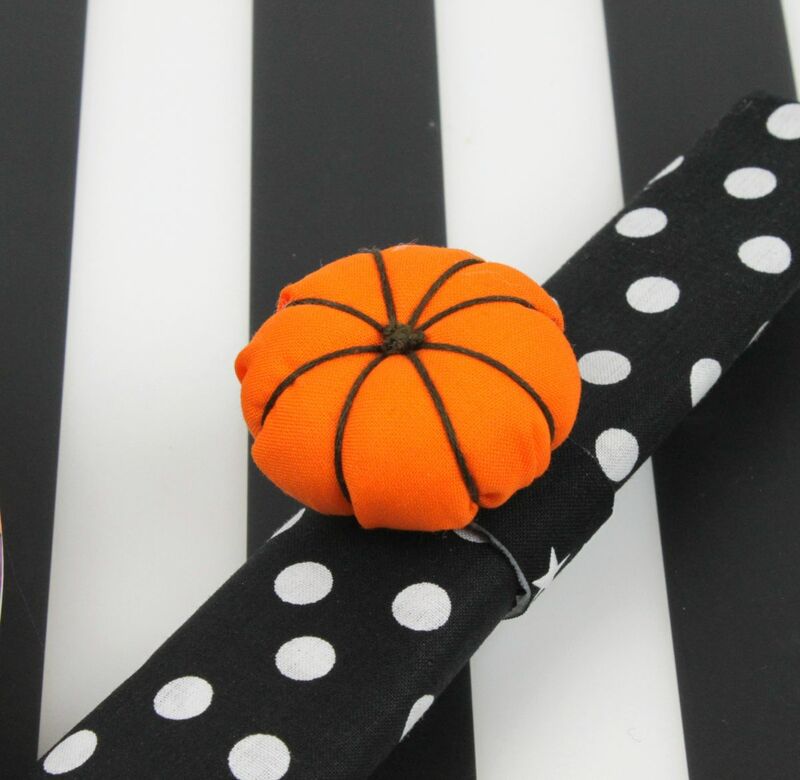 These cute little items add so much whimsy and color to any table. 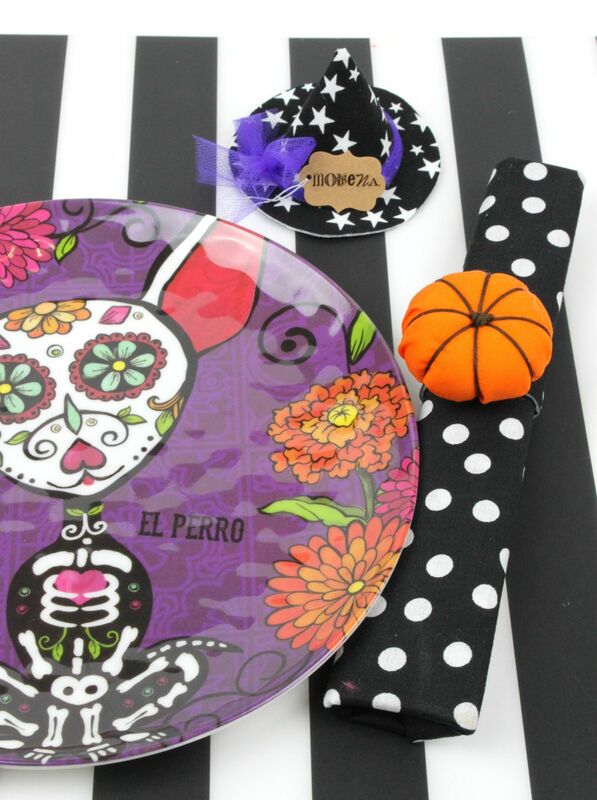 Have fun crafting and creating for your Halloween dinner party! 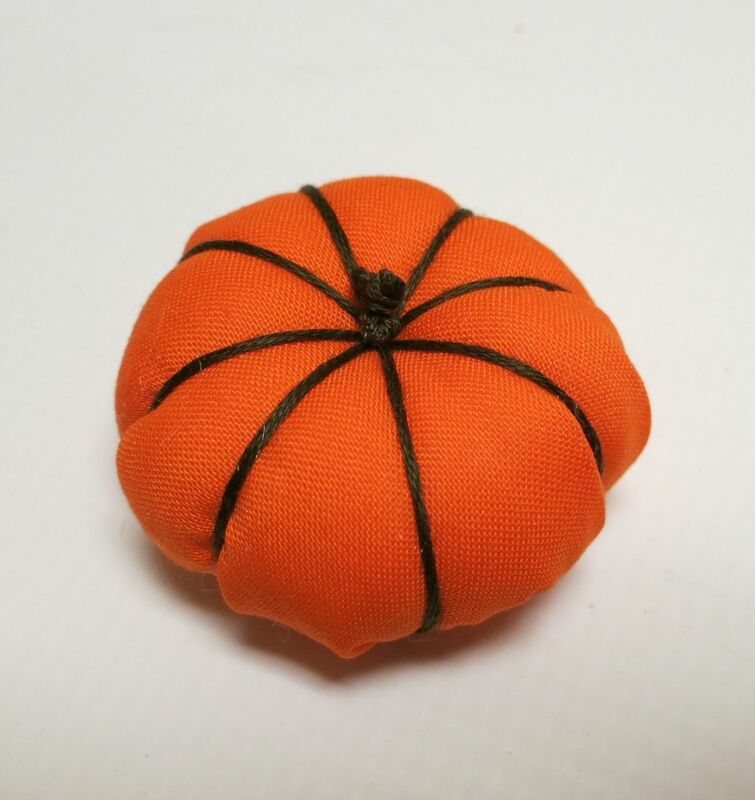 The post DIY Pumpkin Napkin Rings and Witch Hat Place card Holders appeared first on Home Decorating Trends – Homedit.